Once Again – The Life Teammates® Bow Tie Makes It to Baseball’s Biggest Stage – the 2016 World Series! Read John Trautwein’s “So much more…” blog about this year’s World Series, and the role the Life Teammates® Bow Tie played! 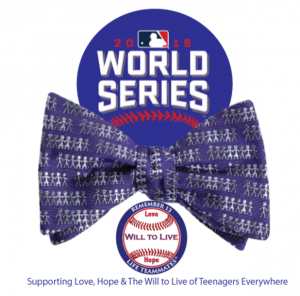 Home / Foundation Events / WTL Bow Tie In The World Series!